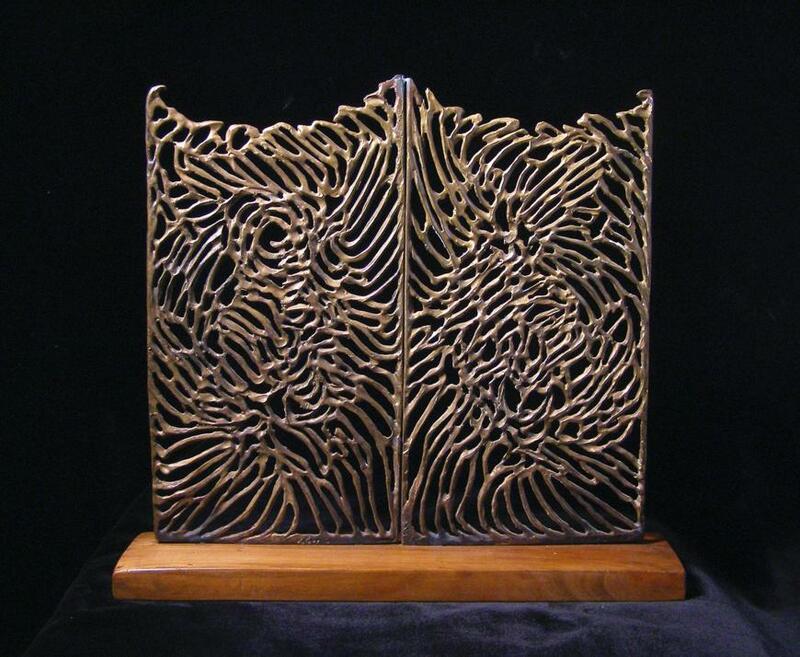 that possesses a rhythmic movement in open relief.These works were done on a frame with a grid of very fine copper wires stretched in gridlock form on the frame. The wax is then suspended on these wires. Cook’s sculptures that are made from this “lost wax process” often resemble a quick line drawing. An excessive number of lines rise and fall. The results often have the effect of a gesture drawing that is a quick study of natural movement. Cook has always loved the challenge of fitting artistic designs on a pre-defined surface. This selection of gate designs illustrates his ability to create exquisite designs within strict parameters.